The Carbotech XP10™ has a higher initial bite, higher coefficient of friction and good rotor friendliness compared to the XP8™ with 100% non-corrosive dusting. This is the preferred compound for the front of Spec Miata racers, SSC,SSB, T3, SRF, ITS, ITE, H1,H2, H3, H4, 944 Cup, ST, GS, Factory Five Cobra’s and many more Grand-Am/ALMS/SCCA/NASA classes. 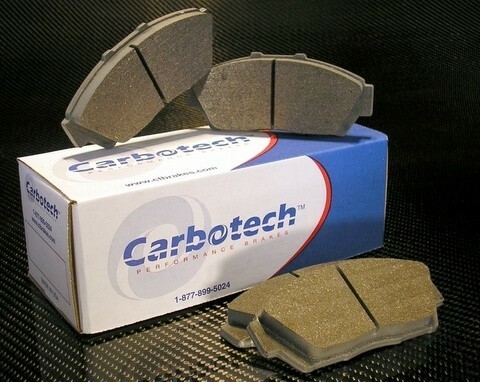 Carbotech XP10™ is recommended for intermediate track day drivers. Although possible, Carbotech XP10™ is not recommended as a daily-driven street pad due to possible elevated levels of dust and noise.